- For the first time independent expat will face penalty of SR 10,000 including deportation, For the second violation the penalty will be SR 25,000 including a jail for one month and a deportation, For the third time violation the penalty will be SR 50,000 including 6 months jail term and a deportation. 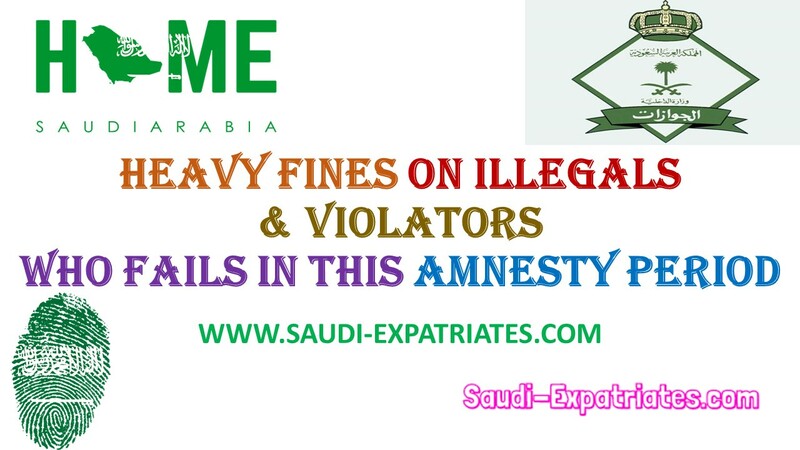 - Violators fingerprints did not be recorded in the amnesty period, so that they can comeback to the Kingdom of Saudi Arabia again in the legal status. From now the violators fingerprints will be recorded in Jawazat, so that they can ban violators from re entering into Saudi Arabia.